The performers aren’t exactly thrilled with Dandy’s take over of the show but, as Paul says, they don’t have many options and Dandy is rich. Dandy is, predictably, awful, entitled and insulting to everyone because he’s Dandy. Which gets him smacked to the floor and a solid dose of reality dropped on him. Paul announces that they quit. And Dandy gets a gun and massacres the majority of the cast except Desiree (who hides) and Jimmy (who wasn’t there) and Bette and Dot (who he kidnaps). Well that was dramatic and abrupt. Jimmy returns to find all the bodies and does what he’s done the entire season – despair. I can’t even feel sad for him any more, even he must be getting bored of dramatic despair moments. He and Desiree cry together (she is much better at selling grief). Bette and Dot marry Dandy and it’s all pretty and twee as the twins tell him everything he wants to hear. Dandy is very very terrible, but that’s ok because his wine is poisonous – Desiree is hiding as the maid (awww c’mon, what is this compulsion to put Black women in maid outfits?). With him all woozy (and shot in the arm). Jimmy joins them as the butler. Elsa, meanwhile, is trying to get in to see a big television bigwig and after a week of solidly waiting in the waiting room and not getting past the secretary she ends up being accosted by a security guard and collapsing in tears. An important bigwig, Michael Beck, takes pity on her. Forward to 1960 and Elsa Mars is now a super star who married Michael Beck. Of course, she’s still very difficult to work with – even when shooting an advert for coffee. There doesn’t seem to be a lot of love between her and hubby either – she has kept one rule from her Freak Show days; she will not perform on Halowe’en. At home she meets with Massimo who she looks upon with far more affection; he notes she has everything she ever wanted but she says she’s bored and alone. She has no true friends, just sycophants and no love for her husband. She suggests running off with him – even begs – but he is now terminally ill.
Later and after much drinking, Michael brings in uber big-wig Gable who has disturbing news. Firstly, that a paper has the footage of Elsa losing her legs in the attempted snuff film – which causes Michael to pack and leave and Elsa to declare she will be ruined (for being a victim – but absolutely no-one points out the injustice of this). They also traced her back to the Freak Show – and tell her everyone there is dead in a massacre. And their dropping her using the “morals” clause of the contract (again, her victimisation and associating with the “freaks” is considered “immortal” but not challaenged.) Elsa changes her mind – and agrees to do the Halowe’en show. To the show! She sings – and elsewhere we see Desiree with her husband and two children watching her. Jimmy watches at home with the twins – who are pregnant. Edward Moredrake – with Twisty – makes an appearance. She greets him with a smile and asks him to take her. He recognises she is committing suicide and stabs her – but says her place is not with them. She goes to an afterlife freak show with Ma Petite, Ethel and all the dead freaks. Ethel greets her with a hug. The season is over! And ye gods it was one of the worst seasons of American Horror Story ever, and given the crap that has preceded it, that took some doing. Even aside from the myriad problematic elements of this show is the simple hot mess of the broken, random plot lines. Twisty. Dandy. Edward Moredrake. Elsa goes to Hollywood. The body-part snatchers. Random police trouble which never develops or goes anyway. Chester and the puppet. Penny the lizard girl. So many plot lines, so little coherence. This wasn’t a story, this was random stuff thrown at a wall. The only thing that even managed to drag it along was the truly stellar, amazing performances brought by most of the cast. 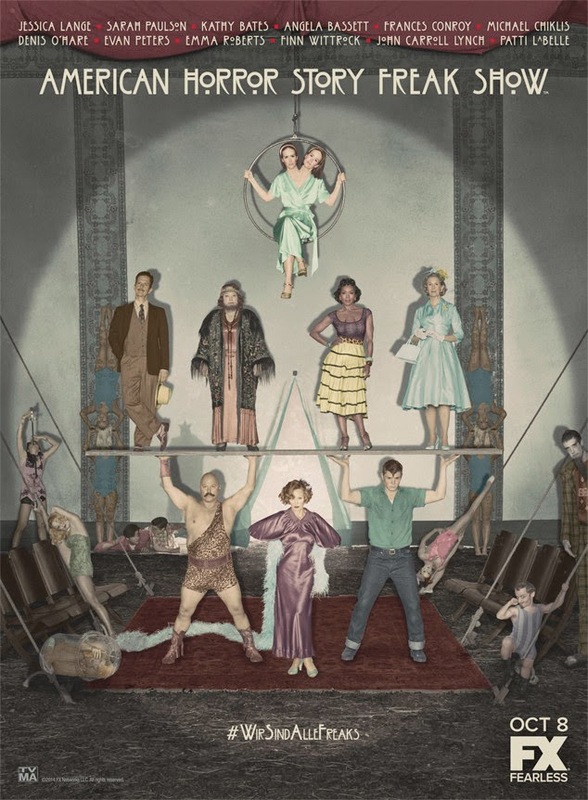 To move from that minor positive to another positive element; at the beginning of the series I mentioned a lot of the complexities of Freak Shows. How they were exploitative and reduced people to performances, objects to gawk at and how the owners of the show had immense control over the people within. At the same time they provided income, relative independence and a home to people who often had (and, in many places, still do) have few other options and, depending on the Show, could even be something close to a something resembling agency. It’s a complexity I think the show did well – it made a point of showing both the persecution the performers faced and presented it as grossly unjust. It also showed Elsa’s full complexity within that – both seeing herself (and even being seen) as a doting mother-figure but also clearly demanding the adulation and service of her “children.” Her demand for servitude in exchange for her patronising “acceptance” is very powerful, pointed and an excellent portrayal of real world situations many marginalised face. These are some pluses – but there’s a whole load of negative. Even before the ending massacre, women on this show have died in a hugely disproportionate amount, often for little more than shock value. We have some vague attempts to challenge sexism – for example with Penny – but it’s just a random minor element thrown into the show with no real development. Just like Ima, the Fat Lady, who was just there for some gross stereotypes and nothing else. The depiction of LGBT people was unredeemably awful. Every character was either a complete non-character (a name, if that) or completely, utterly, irredeemably evil. And all of them are dead, murdered often due to their sexuality in between being contemptuously dismissed in between.